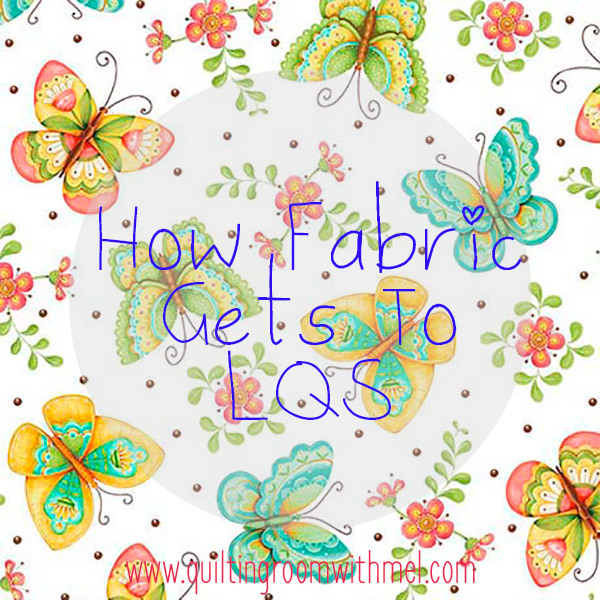 So far on this educational journey in the life of quilt fabric we have learned how fabric designs are picked and how those quilt fabrics are marketed to us. Today, we are going to look at how all those fabrics are organized and ultimately shipped to our favorite local quilt shops. I can't keep my stash organized and I don't have thousands of yards of fabric no matter what Paul tells you. Plus if it wasn't for the folks in the warehouse making sure the right fabrics shipped we wouldn't have any quilt fabric to buy. I don't even want to think about the horror of that. John Ferreira is the business analyst for QT Fabrics. John has been with QT for about 29 years now. He started out in one of the manufacturing plants in a technical capacity and now he is involved in inventory, order fulfillment, and financial reports. He's the man that makes sure the fabric makes it to our favorite shops. I knew that the fabric didn't come to the warehouse on bolts so I was curious how it ended up on the bolts we are used to seeing. When QT sent the fabric over for The Driver's Footsteps quilt it didn't come creased down the middle. The fabric comes to them from the printers on rolls with 200 to 400 yards of fabric on each roll. They get a container of new fabric every two weeks. At the warehouse in New Jersey they use a Measuregraph to fold the fabric and get it on the bolts. They can do some pre-cuts at the warehouse but they usually have another company do the cutting for the pre-cuts. Yes, there are companies that do nothing but cut fabric. Somewhere in the back of my mind I think that wouldn't be a horrible job. Think of all the fabric you would get to pet. Of course, I would go broke seeing all the fabric and then running out to buy everything I had worked on that day. I struggle like most to keep my stash organized and I don't have 130,000 bolts. Yes, they keep between 130,000 and 140,000 bolts of fabric in the warehouse. They keep all of those fabrics organized by season and keep consolidating to make room for the next season. I can't even fathom keeping that all straight even with today's technology that's a lot of fabric to deal with. It takes about 5 days for an order to ship though it can be quicker. During peak times they can pack up as much as 250 bolts each day. That's usually for new fabric lines that have the same ship date. Neither John or his wife are quilters but John does stop into the shops that carry QT to check in from time to time. I want to thank everyone at QT Fabrics that helped me produce this series. If it wasn't for their willingness to answer questions then I wouldn't have been able to do this. 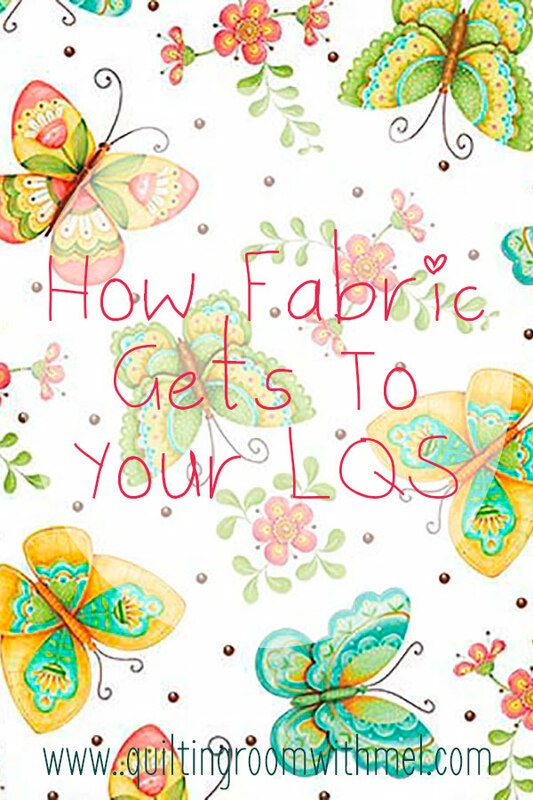 If you missed the other two installments be sure to check out how fabric designs are chosen and how quilt fabrics are marketed.